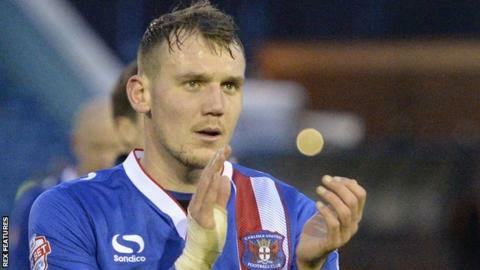 Striker Charlie Wyke has signed a new two-and-a-half-year deal with League Two side Carlisle United. Wyke, 23, joined the Cumbrians from Middlesbrough in January 2015 and has since scored 13 goals in 37 games in all competitions. The former Hartlepool United loanee has played 20 games in all this term, scoring nine goals. "I'm loving it here at the minute and I just want it to keep going," Wyke told the club website.